An inspiring collection of the great thinker’s views on a rapidly changing world Nuclear proliferation, Zionism, and the global economy are just a few of the insightful and surprisingly prescient topics scientist Albert Einstein discusses in this volume of collected essays from between 1931 and 1950. 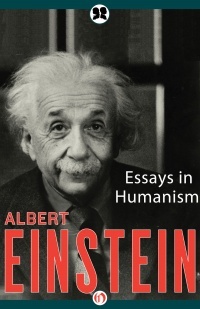 Written with a clear voice and a thoughtful perspective on the effects of science, economics, and politics in daily life, Einstein’s writings provide an intriguing view inside the mind of a genius addressing the philosophical challenges presented during the turbulence of the Great Depression, the Second World War, and the dawn of the Cold War. This authorized Philosophical Library edition features rare photos and never-before-seen documents from the Albert Einstein Archives at the Hebrew University of Jerusalem.